The Juke likely will largely keep the styling of the current model, shown. LONDON -- The next Nissan Juke will be the first model to be built on Renault-Nissan’s CMF-B small-car modular architecture. The subcompact SUV also will continue to be built at Nissan’s plant in Sunderland, northeast England, the company said in a statement. The next Juke likely will offer more advanced technology such as Nissan’s around-view parking monitor and lane-departure warning. The new platform is also expected to bring improvements to the interior and ride quality. Nissan and Renault are introducing a Common Module Family (CMF) range of platforms. The CMF-C/D platform already underpins the Nissan Qashqai and X-Trail and Renault Espace and Kadar. The Renault Kwid, recently launch in India, is the first model to use the CMF-A platform. Nissan has not said when the new Juke will go on sale, but the launch date is likely to be next year. The next Nissan Micra due next year is expected to build on the CMF-B platform. Analyst firm IHS Automotive expects the CMF-B to be the biggest volume CMF variant, underpinning around 3.65 million cars by 2020. Nissan-Renault has predicted that 70 percent of its vehicles to be CMF-based by 2020. 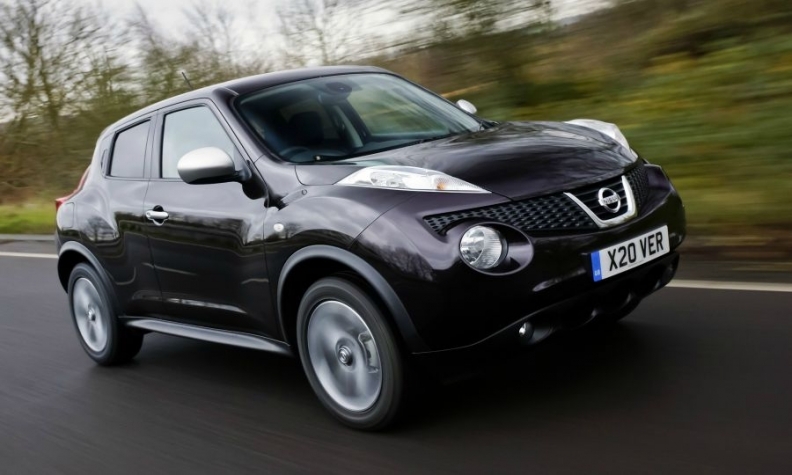 The Juke did much to kick-start the current boom in subcompact SUVs when it was launched in 2010. The bold styling proved a hit with buyers and last year Nissan built 132,000 at its Sunderland plant. The car is also made in Nissan’s Oppama, Japan, factory for markets outside Europe. The Juke as fallen back as new entrants such as the Renault Captur, Opel Mokka and Peugeot 2008 have joined the segment. Through July, Nissan sold 63,223 Jukes in Europe, up 11 percent, according to JATO Dynamics market researchers. The Captur was the region's best-selling subcompact SUV with a volume of 121,292, up 21 percent.